From the moment this combination of cult status parent plants were mentioned, a lot of curiosity and expectation was felt vibrating in the MNS camp. 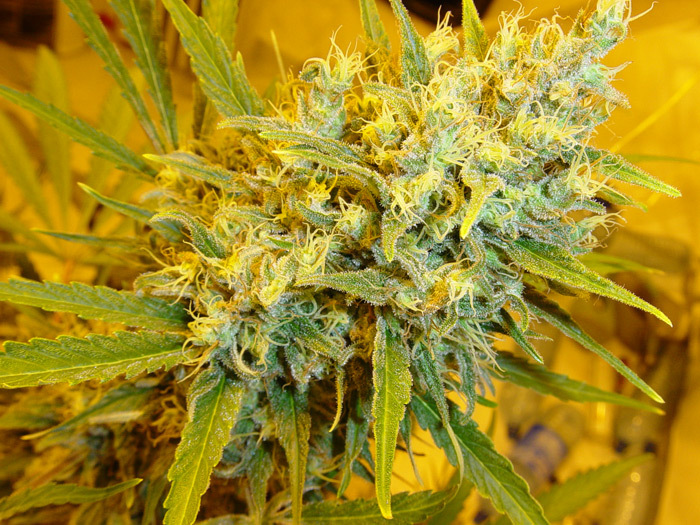 Critical Mass (Plant of the Year 2008 in Spain) has won almost all awards possible over the years in many countries not to mention its phenotypes have always, without failure, satisfied more growers worldwide than any other plant produced. It has eagerly been waited for to those growers with several grows under their belt now wanting to try their hand at a practical Haze hybrids. This strain will bring a lot of growers to their knees when they grow it well and the yield will be potentially large. The fruitiness of the CM will compliment the AH male and probably one of the best blends of distinctive flavors and scents will combine to blow ones senses off the scale, but a little more patience will be needed to finish this plant off to its full potential. A perfect plant for most outdoor growing areas of the world such as Spain, Australia, Italy, Canada and USA, but better still for those who are lucky enough to be inside a greenhouse for them growing this plant will be a real treat. 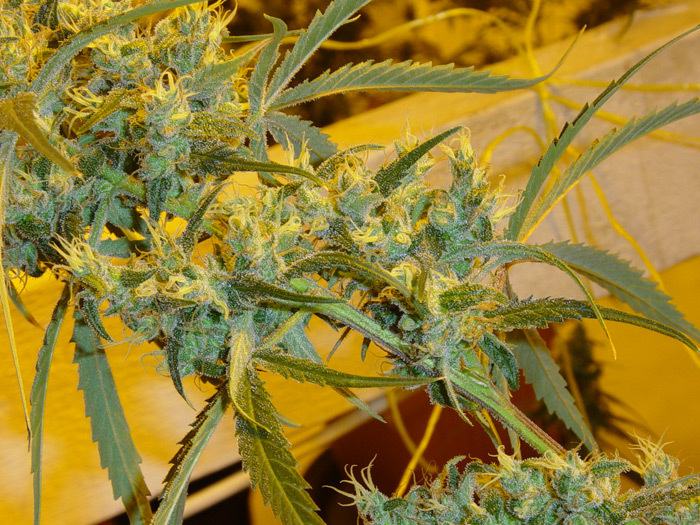 This plant will be a must grow plant in time like those including SSH and the Widow family If you get a chance to try something new then Critical Haze will be highly recommended from us all at MNS. The time to finish the earlier phenotypes should be 8-10 weeks with some very worthwhile phenotypes going between 10- 12 weeks. Yields will depend on the style and types of grow however expect 450-650 grams per square meter indoors and substantially heavier plants in the outdoors and greenhouses. This will be a plant all of the commercial Haze growers will be scrambling for as well as anyone who just loves Haze flavored flowers. Since both parents are being used well in the medical patients/growers world already the combination will make this a plant a phenomena to all that grow her. Expected yield: Yields will depend on the style and types of grow however expect 450-650 grams per square meter indoors and substantially heavier plants in the outdoors and greenhouses. Flowering period: Expect Indoor growing to be between 8 to 10 weeks depends on the phenotype you select. In an outdoor grow in the northern hemisphere by early to early/mid October and in the southern hemisphere by mid/late March. Recommendations: Not everyone wants to grow Haze plants since they think it takes a long time, however with this practical hybrid it is simply irresistible. Unlike CM you will need to watch the amount of food you feed the plants - less will be advisable. Special Notes: This is one of a set of 4 hybrid limited editions that have been recently remade to F1 seed. All incorporate 25% Haze and are excellent practical introductory plants for the new growers to Haze. The flavors and aromas will hook those who grow these hybrids and the yield will be more than one would think to expect. All have excellent medical applications including helping with muscular tension, pmt, ms and appetite stimulation...try it I guarantee you will be pleasantly surprised. Click here to visit "Critical Haze (Critical Mass x Afg. Haze)" forum!